While famously known as the island of gods, Bali is also known as the island of thousand temples with more than 20,000 temples and shrines spread over the land. Balinese temples, known as pura, are built in accordance to strict Balinese architecture which incorporates style, culture, art, and faith. Those puras can be found in every corner of Bali, from the top of the mountain to the shore. Since there are thousands, it would be a real challenge to visit them all at once. 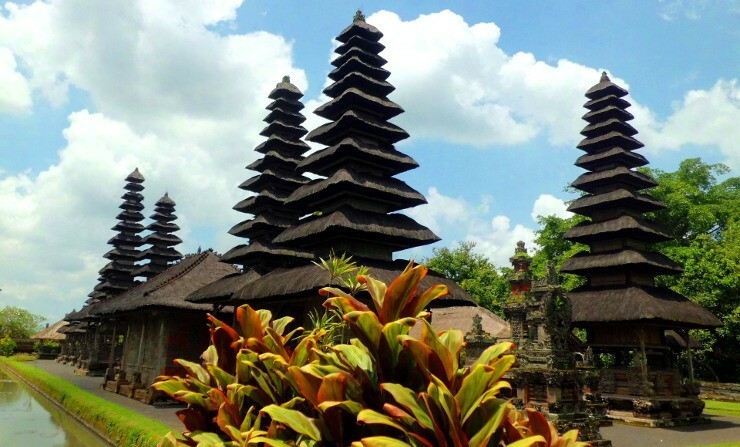 Here, Sun Island Bali has collected a list of the most visited temples in Bali. Pura Besakih is considered the holiest temple in the whole island. People even call it as the ‘Mother of All Temples’ for its reputation to be the oldest pura in Bali. Located in around 3,000 feet up at Mount Agung in East Bali, this temple’s axis align with the peak of Mount Agung, the tallest mountain in Bali. The entire pura is a massive complex consolidating 23 separate temples, which become major draws for tourist and Balinese. People might know Pura Luhur Uluwatu as the famous venue of fire kecak performance by the cliff. However, Balinese consider it as a major temple—one of the six nirvanas a.k.a. sad kahyangan revered by all Balinese. The temple stands erect on a cliff soaring 200 feet above Bali’s surfer paradise. The name Uluwatu itself refers to the pura’s location “at the head of the rock,” hence the stunning ocean view, especially during sunset. The temple stands on a separated rock structures some distance away from the shore, making it stands out at the surrounding sea. Pura Tanah Lot is one of the most visited tourist destination in Bali due to its unique location. Access to the pura is limited to low tide due to its distance from the shore. It is said that this temple of ‘land in the middle of the sea’ was built in the 15th century by the work of priest Nirartha after spending a night on the place which eventually becomes the temple. This temple is located on the lakeshores of Danau Beratan. It is second to Pura Besakih in terms of significance to Balinese; but, it is first to farmers in Bali. Pura Ulun Danu Beratan is built to worship the goddess of the lakes and rivers, Dewi Batari Ulun Danu, whose existence inspires the traditional irrigation system in Bali called subak. The architecture is unique as part of the temple is located on the land and the other part, which looks like pagoda, seems to drift away at the serene lake. Built by the King of Mengwi in the 1600s, Pura Taman Ayun is a royal public temple, which is sponsored by the lineage of Mengwi royal family. The name of this pura means ‘a beautiful garden’ which finely describes the whole complex. Pura Taman Ayun is also known for being surrounded by water castle and idyllic structures inherited from the ancient Mengwi architecture. Pura Gunung Kawi or also known as the ‘valley of the kings’ is located some miles away from Tampaksiring. It is located between rice fields and is streamed by Tukad Pakerisan, a river that is believed to sanctify the temple. The temple is known for the cliff carved to honor Balinese kings and queens from the 11th century. Tirta Empul is known for the sacred spring which streams the temple and provides holy water for priests. Local people believe that bathing in the water of this temple brings fortune and health. There’s an ancient legend about this spring as Hindu god Indra created the spring as a medicinal water source to a poisonous spring created by evil demon king. Pura Luhur Lempuyang is also one of the six sad kahyangan dedicated to the Supreme God, Sang Hyang Widi Wasa. The top of the temple is located up above the ground, with 1,700 steps for approximately an hour and a half to reach. This temple is located in East Bali and is accessible from Candidasa. From this pura, visitors can witness the magnificent Mount Agung, framed by the temple gate. It is surprising that Pura Goa Gajah (literally, ‘Elephant Cave’) is free from roaming elephants. The name itself is derived from a nearby river’s name, Elephant River, which is surprisingly free from elephants, too. The closest to elephant we can find in this temple is the statue of Hindu god Ganesha—a half-human, half-elephant demigod in Balinese mythology. Goa Gajah’s most distinctive feature is the temple’s entrance which is carved into a face with open mouth. 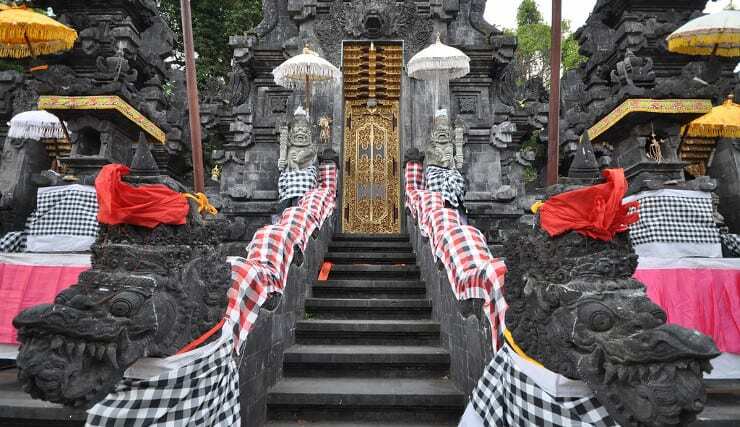 As described by the name, Pura Goa Lawah is a sacred temple located inside a ‘bat cave.’ Located in East Bali, near black-sand beach, it is a popular and ideal place for post-cremation purification for local families. Rumor has it this pura has a secret structure that extends over 19 miles to Pura Besakih, the Mother of all Temples.